There is one habit that all financially fit consumers have in common. They have a knack for managing debt. This is especially important when it comes to using credit cards. Paul Golden, spokesman for the National Endowment for Financial Education, says it's usually not a good idea to carry a balance on your credit cards from month to month. “However, a good way to identify if you are in a safe or danger zone with debt is to look at your overall amount owed compared to your income,” Goldman said. 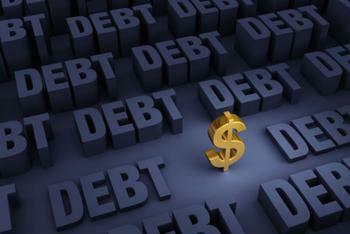 “You should keep your debt at less than 20% of your income for credit cards, student loans, and car loans. In determining your credit score, your total amount owed relative to how much credit you have available accounts for 30% of your overall score. Diane Moogalian, Vice President of Customer Care at Equifax, says not all debt should be viewed as bad. But she cautions that student loans can easily become “bad debt” if a borrower loses track of how much he or she owes, or doesn’t have a reasonable plan in place to pay it back. As for credit cards, she says financially fit consumers understand the difference between a “want” and a “need.” They have a budget and they stick to it. “I have never met a type of debt that I liked,” said Michelle Perry Higgins, Principal and Financial Planner of the California Financial Advisors. However, she concedes there are some cases where acquiring debt can actually increase your income and your net worth over time. In general, financially fit consumers use credit cards to their advantage. They pay off the balance each month to avoid paying any interest on their charges. Higgins says they also use rewards credit cards that earn miles or cash back. That way, the credit card company pays you, instead of the other way around.